For more information on these products or to place an order, click DVD cover or title. What is the Electric Car? - NEW! A new feature length documentary about Electric Vehicles (EVs) now in dealer showrooms. This film takes a positive view of an industry expected to grow to over $200 billion in revenues over the next 15 years. This entertaining & educational film follows the birth of an exploding industry & looks forward to the technology now available in current EVs. The film also takes a look back at Electric cars driven in the early 1900s & compares how modern EVs are 400% more energy efficient over traditional gasoline combustible engines. Set in 1995, before Al Gore & Leo DiCaprio showed us it was hip to conserve energy and save the environment. The idea for this fresh narrative comedy was inspired by Chris Paine’s multiple award winning documentary Who Killed the Electric Car? and begins when self-centered, egotistical GUY (Carl Fieler) takes his girl friend CHELSEA (Megan Brotherton) for granted. This award winning film showcases popular actor/comedian Michael Winslow, star of 7 “Police Academy” films. Fasten your seat belt, turn up the volume and relax – it’s going to be a fun, fun, funny ride! 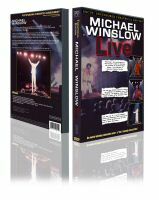 DVD Bonuses include: Concert exclusive “Reggae Mike”, Q & A with Michael Winslow at the Hard Rock Café, production discussion with Director & Producer, More noise with Winslow! A new special “Collector’s Edition” DVD. 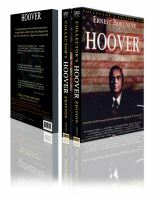 Enjoy a special presentation of the acclaimed motion picture starring Academy Award® winning actor Ernest Borgnine that dares to tell the truth about J. Edgar Hoover and the FBI. Brand new DVD Bonus chapters include: an exclusive interview with Writer-Director Rick Pamplin & Executive Producer William L. Whitacre and a revealing Ernest Borgnine interview on The O’Reilly Factor. Run time of 93 minutes (plus almost 30 minutes of bonus features)! A new feature length documentary about a small dog, his show business life and owner Dr. M. Phyllis Lose. After serving as one of America's first female equine veterinarians, handling 180 police horses for the city of Philadelphia, pioneering life saving surgery techniques for race horses, writing best-selling books and working with George C. Scott on a movie about her life, Lose finds herself managing the show business career of a mutt who accidentally crosses paths with the famous doctor. 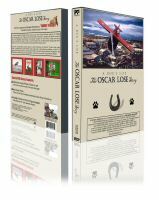 Comes with 3 Bonus feature chapters with photos of Oscar “on set” and rare photos never released from Dr. Lose’s Equine Hospital.